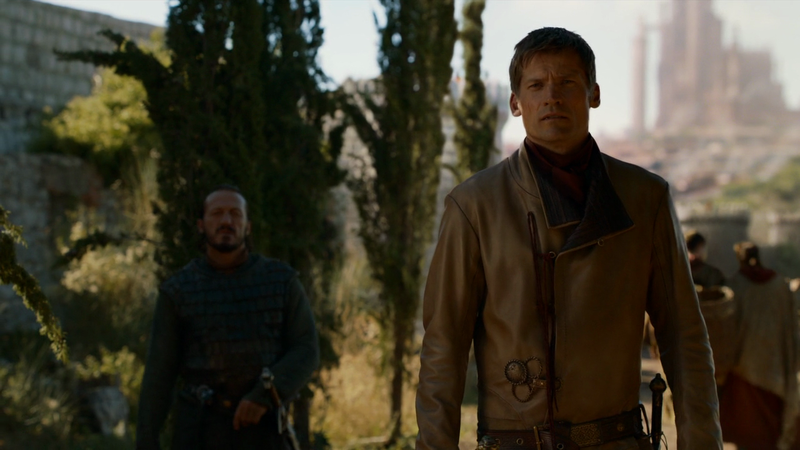 It should really just be ‘my favourite moment’, which is the one that gives the title to this episode, but then it would be a really boring review if I wrote 1,000 words about Jaime and Brienne alone (and I could). Everybody moved forward on this episode, mysteries were revealed and epic bromances were halted, so here are my favourite scenes. Reading lessons seem to be a Game of Thrones thing now, although I am not sure if he was learning to read or just learning the language properly. It doesn’t matter, it was an adorable scene between the Unsullied leader and Dany’s former translator. I would dare to say I saw sparks of romance, but we all know that cannot be. There’s nothing down there, nothing at all, nope. Dead. The visit to the slaves of Mereen was quite inspiring as well. Not so inspiring was Daenerys conception of payback. She was pissed, yes, and she made sure the masters paid for what they have done, even if it added a shade of darkness to her personality. Valar Morghulis, indeed. 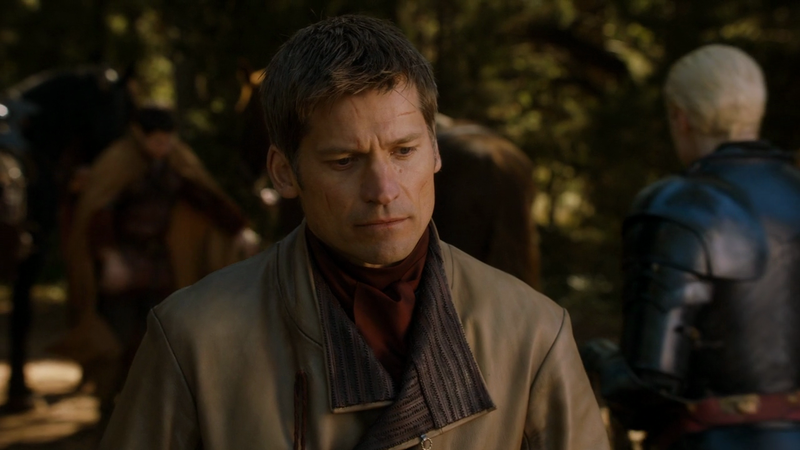 Having scenes between Jaime and Tyrion is a delight, after three seasons apart. They are a reminder that these two love each other, something that the book POVs explain but that we cannot remember when watching the TV show. Jaime would never kill his brother, and Tyrion would never murder the son of his brother either, so there is only one thing clear here: Cersei is crazy and she must be dealt with. 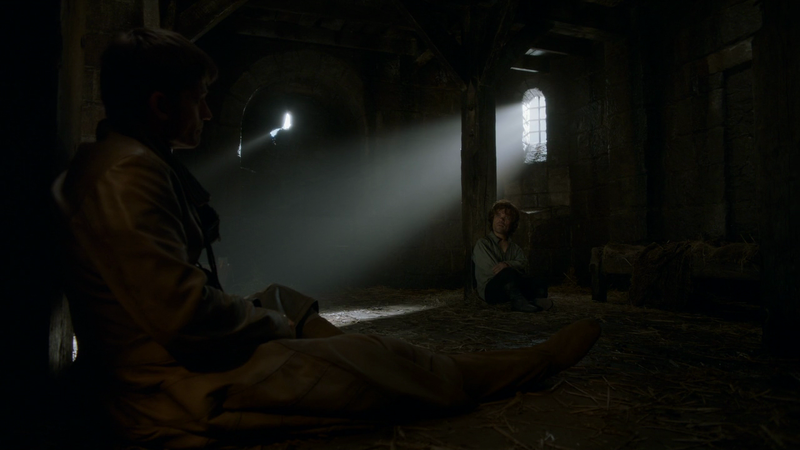 I would have watched an entire episode of Tyrion and Jaime just chatting. I should go back to reading the books AFTER watching their respective seasons, because I already knew this: the outspoken Olenna Tyrell, the Queen of Thorns, was behind the regicide. 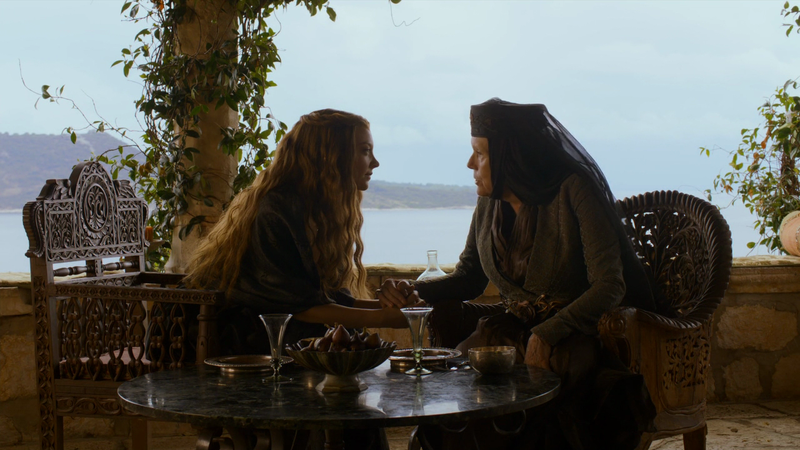 She took the poison Littlefinger had introduced in Sansa’s necklace to kill Joffrey, because as she told her beloved granddaughter Margaery, “You didn’t think I’d let you marry that beast, do you?”, reminding us all that this show is truly about loving and protecting your family above all. I also want my grandmother to poison my potential jerk suitors, it’s the ultimate proof of unconditional love. It is during that reveal that Olenna tells her granddaughter to ensure new child king Tommen is on her side before Cersei ruins it. I feel sorry for Tommen, stuck in the middle of all this (and having to sleep at Joffrey’s old room, filled with creepy reminders of his brother’s cruelty). I can only assume he is a nice kid thanks of Tyrion’s influence, because he is surrounded by pure evil. Still, Margaery won a bazillion points for being manipulative yet kind. Also, that forehead kiss. 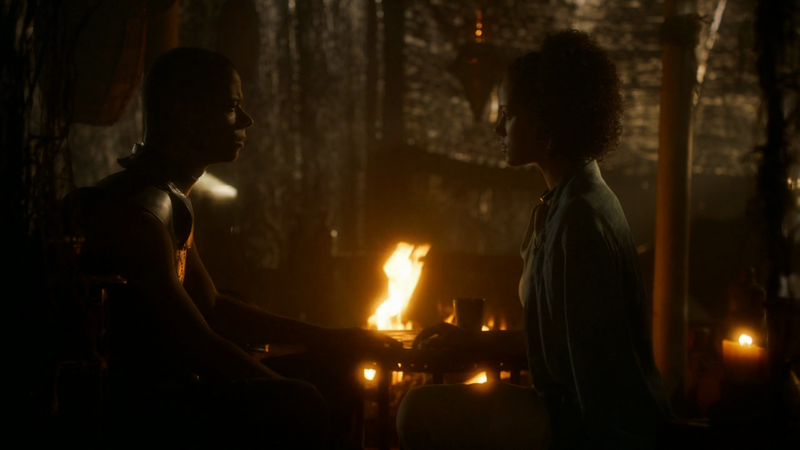 THIS is my favourite scene, or set of scenes, even though it means that the best GoT couple is parting ways and this show can’t have too many happy moments. But the whole thing was worth it for two reasons: the first one is that Podrick is not disappearing! That was my main fear after last week’s episode, but it’s good to see that he will be accompanying Brienne from now on. The second reason is that Jaime reinforced his honour by sending Brienne to find and protect Sansa as a way to keep the promise they made to Catelyn Stark. He gave her his new sword (made out of Ned’s Ice) and she called it Oathkeeper, then they said their goodbyes, and I died. If you didn’t get emotional with that, you do not have a soul. Ghost in a cage! You will pay for this, Karl. Also, you will also pay for treating the poor wildings like that. I never thought I would say this, but they were better off with Craster. You will also pay for slapping Bran and keeping them as hostages. Hodor! Leave Hodor alone! PS. 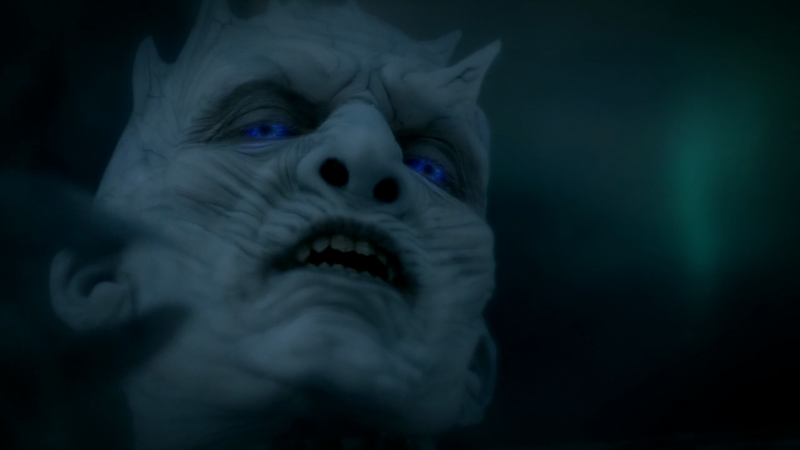 Dear Karl, I hope Jon Snow removes your eyes from your eyeballs with Mormont’s sword. That’s how vindictive I am. That Locke dude (substitute for the books’ Vargo Hoat) who has been sent there to kill Bran. He better die soon (unless he becomes friends with Jon and turns good). Oberyn wasn’t on this episode. I was also moved by the Oathkeeper scene, especially because when Brienne names the sword she’s locked eyes with Jaime, as if she’s telling him that he’s the Oathkeeper, and not the Kingslayer. Jaime’s a complicated guy (and especially an uncomfortable character to be invested in after the scene in the Sept last episode) but giving Brienne the remnant of Ned Stark’s sword and equipping her (with POD! My Man POD!) 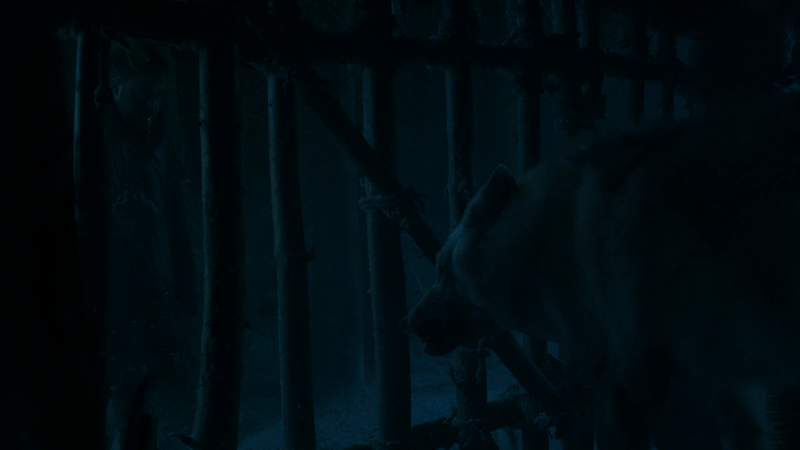 to go search for Sansa and keep her safe, that’s a class move. The beginning scene with Grey Worm was great, but book-ended nicely with the end. Both Grey Worm and Craster Jr. were inducted into a merciless group at a very early age. I agree with everything you said. There was a powerful meaning in that scene between Brienne and Jaime, and I also think people have misunderstood last week’s scene a little bit (or maybe I defend it as a book reader). I hadn’t tought before of the parallels between Grey Worm and Craster Jr, you are totally right! As for Pod, I’m really glad he’s still on the show!